MarkzTools2 a stand-alone macOS file conversion application, can convert a newer version InDesign document to an IDML file that is readable by InDesign CS4 and newer. Like MarkzTools, MarkzTools2 can be used to open and modify documents of newer InDesign versions, such as CC 2019, CC 2018, CC 2017, CC 2015, CC2014, and CC in older versions of InDesign such as CS6. Now with Adobe InDesign CC 2019 Support! Do you need to download the update? Find your download here! MarkzTools2 can convert Adobe InDesign CC 2019 though CS2 documents into IDML files readable by InDesign CS4 and newer. 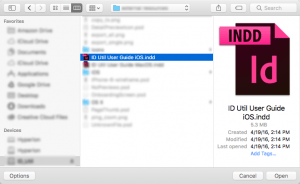 To Open a newer InDesign file in an older version of InDesign you need to convert the file to IDML. Choose the “Convert InDesign Document…” menu item from the “File” menu in MarkzTools2. Navigate to and choose the InDesign document that you would like to convert to IDML and then click the “Open” button. You will see the processing dialog window while your InDesign document is being converted into an IDML document. 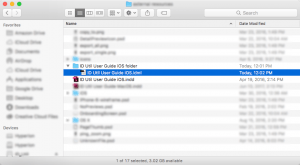 Once completed you can navigate to the original document in a Finder window and see the newly created IDML file alongside. The InDesign document has now been converted to an IDML file that can be opened by any version of Adobe InDesign from CS4 through CC 2019. Seat Count is the number of systems a single License can be installed on. You may wish to purchase a 5 seat count, quantity 1, to install on 5 machines using a single License. Quantity is the number of individual Licenses to purchase. You may wish to purchase 5 individual Licenses each to be installed on 1 system. The conversion process will maintain each element’s page position and z-index (depth order). Linked text boxes will be recreated in the new document. You will find that the automatic conversion process is highly accurate. Both Paragraph and Character Style Sheets are maintained through the conversion process. Years of our team perfecting the conversion process ensures that all style data is copied over. Images, both Linked and Embedded, are recreated as originally designed in the converted document. I've only been using the MarkzTools2 for about a week, but in that time two clients have sent me three files that were all created in the CC version of InDesign and saving them down to CS6 could not have been easier or cleaner. There are a number of reasons why someone might not have the latest version of an application. In my case, it's the necessity of running old software that doesn't work beyond Mac OS X 10.6 and so needing to use an older version of InDesign. While being retired, I still design for local charities that use Creative Cloud 2018. While they could create a package with an idml file, they often forget to do so. Given the tight deadlines, I really can't wait a day or so for a file I can use. To this end, MarkzTools2 is the perfect solution.I've thrown a number of files at it without a problem, and the conversion takes just a few seconds. Given that there are websites charging up to $5 to convert a single file, the annual licence fee is very reasonable. Highly recommended. Öffne relativ viele InDesign-Dateien - hergestellt mit der Creative Cloud-Version - von Grafikern zur Weiterverarbeitung. Ich bin aber nicht gewillt meine gekaufte Version DesignWebPremium CS6 zu "schmeissen" und mich via der Adobe-Mietversion CC "abcashen" zu lassen ...Ihr MarkzTools2 ist ein zuverlässlicher Partner bei der Umwandlung ins IDML-Format. Auch ist MarkzTools2 eine Hilfe bei beschädigten InDesign-Dokumenten. Ein Produkt, das seinen Preis wert ist! Open relative to many InDesign files - manufactured with the Creative Cloud version - of commercial artists the subsequent treatment. I am however not determined my bought version DesignWebPremium CS6 “schmeissen” and me via the Adobe Mietversion CC “ABC ashes” to leave…your MarkzTools2 am a zuverlässlicher partner during the transformation in the IDML format. Also MarkzTools2 is an assistance with damaged InDesign documents. A product, which is worth its price! I had to tell you thanks for having a great product… Your MarkzTools2 stand-alone application for conversion to IDML format did what it was supposed to do when a Jr. designer decided to upgrade to ID 2017 without checking with the IT department first. On top of that ID 2017 seems to have a crash issue when trying to save down so I was thinking we would have to eat some hours to fix these issues. You have personally saved me lots of tears and frustration. Is there a Windows version of MarkzTools2? At this time MarkzTools2 is a macOS application only. We do offer a DTP Conversion Service, which can convert your files for you.